Drivers everywhere love crossover SUVs more than ever before. 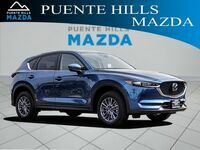 They have surged in popularity, and with them is the 2018 Mazda CX-5. 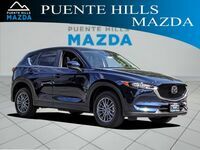 Though Mazda currently produces three capable crossovers, the Mazda CX-5 perfectly fits the definition of "midsize" since it truly is the medium-sized crossover in the lineup. It's not quite as large as the Mazda CX-9 but it has more room than the Mazda CX-3. The Mazda CX-5 comes loaded with standard features and has top-notch performance, but how does it compare to its competitors? That question is what we're here to answer. 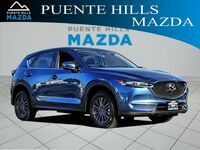 Our team has done some research on the 2018 Mazda CX-5 and the 2018 Hyundai Tucson. Each crossover brings its own things to the table, so without further ado, let's explore the research's results. 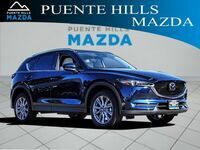 As you can see, the Mazda CX-5's slightly higher starting price is justified by its improved fuel economy and standard and available technological features. It also beats out the Tucson in the engine battle. The Tucson's base engine is a 2.0-liter inline-four-cylinder motor that is powered by 164 horses. Meanwhile, the Mazda CX-5 features a larger 187-horsepower, 2.5-liter I4 engine. That engine is consistent across all trim levels. 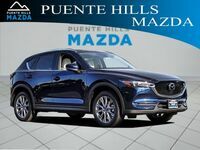 The Mazda CX-5 also produces 186 pound-foot of torque at 4,000 RPM. There is a lot to love about the 2018 Mazda CX-5. It looks beautiful, drives smoothly, and is extremely comfortable. This crossover should be in a class of its own, but you won't fully understand that until you come check it out for yourself. Our great sales staff can go over all of the remaining details and discuss leasing and financing options. Stop hesitating and come on down!